I came across this concept in my Science textbook in 9th or 10th grade. And for some reason I still remember it even after so many years. Ivan Pavlov observed how his dog would salivate when he would ring a bell and bring food for the dog. As days passed by, the dog would salivate just by hearing the sound of the bell in anticipation of the food. This observation led to his research on classical conditioning theory. It gives good insights into how a conditioned stimulus can lead to a conditioned response. We all experience this often in our day-to-day lives. Our smartphones have transformed us into Pavlov's dog. You hear a notification, vibration or even a blinking LED, your hands automatically reach out for your phone to check what's new. Mobile app makers understand this phenomenon and ensure their first and foremost user engagement strategy is "Notifications". They personalize these messages, make them variable, interesting, whacky and what not. I started to realize that I was getting distracted a lot with these triggers and was not able to focus hard. It could be due to FOMO (fear of missing out) or seeking novelty but I decided to take some conscious steps to get back my focus. Focus is THE precious asset these days, more than time, physical energy or money. I went through the list of all the apps on my phone. As a first step, I uninstalled all the shopping ones. I'm not an avid shopper and the notifications - "25% discount on shoes" and "fabulous offers on branded clothes" are irrelevant to me. Then I looked at the health and fitness apps that I installed long time back but still keep bugging me to track my food and water intake everyday. Got rid of them. The remaining were the toughest ones - social networking apps like Facebook and Twitter. My most used ones. I disabled the notification sound and vibration first. But the LED light was bothering me. I finally disabled that too. FB started troubling me with notifications about a random person posting something on a FB group that I follow. (Seriously, FB?) The tweet below proved I wasn't alone in this assault. Biggest Spammer in the World? Product Manager of Facebook Groups. Twitter is not too far behind either. It keeps notifying me on how 3 of the people I'm following have tweeted about a certain hashtag.Or how 2 of them started following someone. I finally said "Enough is enough" and uninstalled both these apps. It's been more than 3 weeks now and the number of times I access my phone have gone down tremendously. I still use these products on the web but I control when I want to access them and not the other way around. 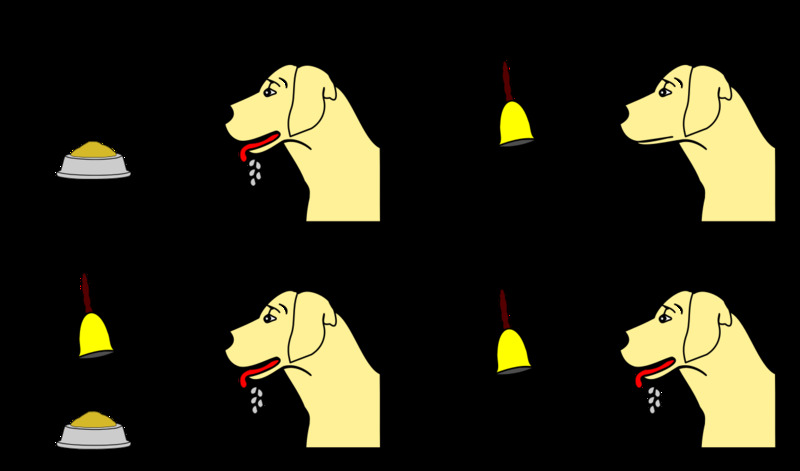 Are you feeling like a Pavlov's dog? Do try out some of these steps and see the difference it can bring to your productivity and your life in general.